This happens from time to time, steam might be down for maintenance, happened to me before, it only lasts a few minutes. But I am not a steam user I am a slg user, and my house m8 who as linked his stream account is able to login without a problem, as a server owner I can't even admin my server right, I am fuming at the moment. 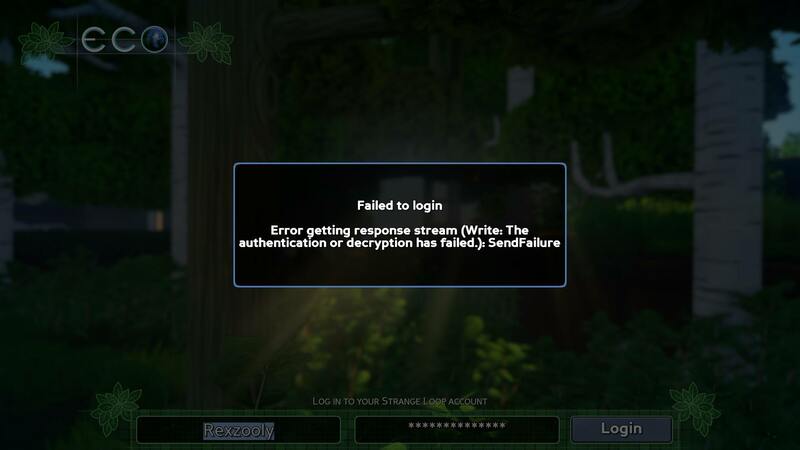 I tested logging out and back in on my account and it worked, if this issue still persists, try reaching out to SLG on discord, maybe your account is glitched? I am still locked out of there discord, I have dropped them a email but this is not accpetable for for over £70 been spent on this god dam game, I can login and out of my account on the website but the app just returns that. it's late here two it's almost 1 am to find out I fully locked out of the game. I used my last key and created a steam version of the game and found out that was also not working, that one let me in the game but wouldn't load a world local or remove and the remote server was broken, I deleted the user folder of eco and reloaded the game, it then let me run the game locally and remove again, I have no idea what the hell happened there, it seemed something got upset and just broke the game badly. Once again a thing I had to find out myself, but hey it's not that bad it means I can fix this if it happens again. Thanks for sharing the fix.